This is the post card you always wanted to create. Testament that everyone and his brother wants to publish Photoshop tutorials ... this one from Overnight Prints. A sun-filled picture postcard, perfect for summer promotions! 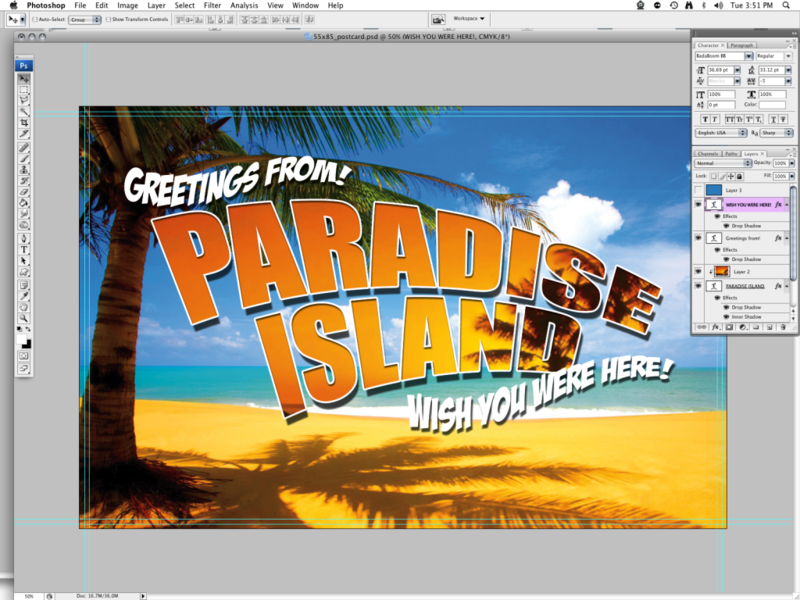 Create a Simple Holiday Postcard in Photoshop- using the Clipping Mask, Warp Tool, and other Text Effects! Water, by its very nature is difficult to convincingly incorporate into a composition. 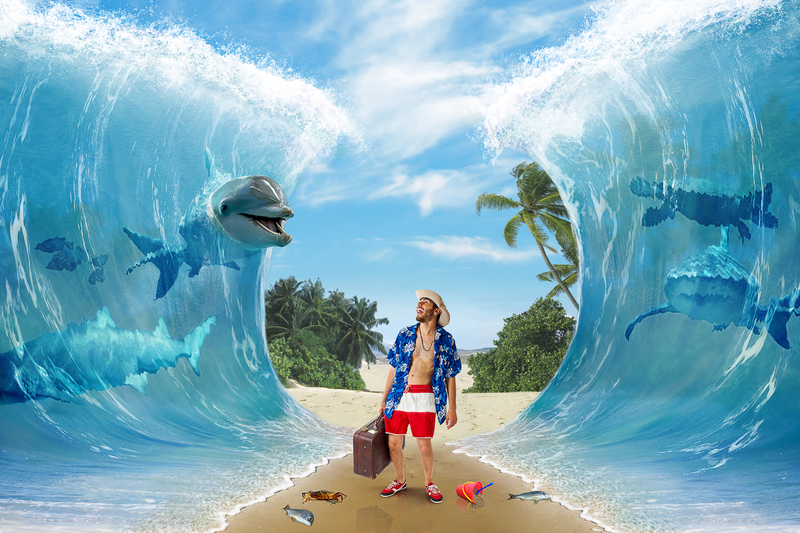 In this tutorial, you will discover how to combine advanced masking techniques, blending modes, adjustment layers and clever use of filters to part the sea and create a surreal photo manipulation. It’s funny to see how simple objects can inspire creative type treatments. In the past I’ve played with plates, paper and wood. Why don't you send in YOUR favorite Photoshop Madness ?